THE Central Provident Fund (CPF) Board managed to recover S$420 million last year in late payment, under-payment and non-payment of employer CPF contributions for more than 250,000 workers. This was revealed in parliament by Manpower Minister Tan Chuan- Jin in response to queries about the Auditor-General Office's (AGO) recent report, which found that his ministry had failed to detect the under-payment of CPF contributions by a company over a 10-year period for employees who had performed National Service (NS) duties. Mr Tan said that the CPF Board has several measures in place to ensure the timely and accurate payment of CPF contributions. This includes an automated system to detect late payments, and conducting proactive audits on employers. 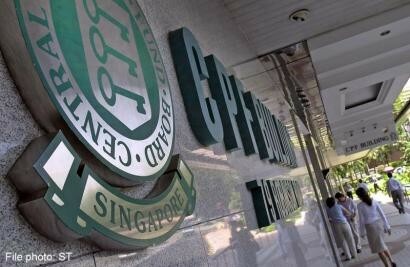 He explained that the CPF Board could not possibly carry out audits for all 140,000 employers in Singapore every year. Instead, it prefers to take a risk-based approach and target enforcement efforts on high-risk industries and firms, and complementing it with investigations on complaints lodged by employees or whistleblowers. Mr Tan noted that while the CPF contributions for National Servicemen make-up pay make up a small number of the total errors, he said that his ministry took the AGO's report seriously. Thus, the CPF Board has strengthened its audit process to better detect employer CPF liabilities arising from NS make-up pay. It now requires employers to declare which of their employees have gone for reservist training, and to provide supporting documents, including an acknowledgement from the Defence Ministry, on the exact NS make-up pay amount. On a separate issue regarding the CPF system, Mr Tan said that CPF members who are older than 55 can set aside more than the specified Minimum Sum for their cohort. The Minimum Sum, which has been increasing over the years to keep pace with inflation, is set at a lower mark for older cohorts of CPF members. For example, the amount is S$148,000 for those who turned 55 from July 1, 2013, to June 30, 2014, while those who turn 55 from July 1 this year until June 30 in 2015 need to set aside S$155,000. Mr Tan said that older CPF members can opt to top up their Minimum Sum to S$155,000, so as to receive a larger monthly payout under the CPF Life annuity scheme. West Coast GRC MP Foo Mee Har asked if the cap of S$155,000 could be removed, so as to give greater flexibility for those who want to get even higher monthly payouts. Mr Tan replied that CPF Life was designed specifically to help Singaporeans meet their basic needs in retirement, and its focus is on providing for those at the lower-income levels. He added that those who have retirement savings on top of the CPF Minimum Sum could explore other investment options to meet their retirement needs.